The best views in Queenstown do not come better than this. Skyline Gondola is over 50 years old and is hands down one of the best tourist pitstops for any holiday goer. Located a brisk five minute walk from the central hub of Queenstown, the Gondola (which seats 4 in each carriage) allows visitors to slowly travel up Bob's Peak to its restaurant and cafe area (Market Kitchen and Stratosfare Restaurant and Bar) area, whilst taking in the spectacular scenery. It is safe to say the absolute best views of the lower South Island are found right here. On the way up, you may have a lucky viewing of some bungee jumpers nearby, as well as a bird's-eye view of the Luge. 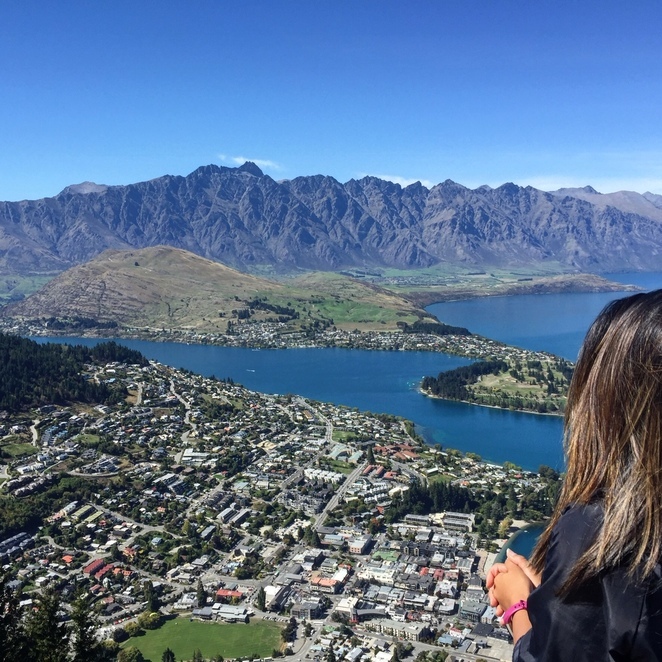 With breathtaking views (220 degree panorama) of such landmarks as The Remarkables mountain range above the stunning Lake Wakatipu across to Coronet Peak can all be viewed from the top thanks to the Skyline's observatory deck. The platform soars over the city and also houses a collection of strategically placed telescopes for those wanting a closer look of mother nature. A detailed mapping board also highlights the views set out in front of you so you know exactly what you are looking at. Once you make it up to the top, you enter through a to the Skyline's hub of activity. Here you can purchase some memorabilia of your time in Queenstown as well as tackle those hunger cravings by enjoying a delicious buffet lunch or dinner at the Stratosfare Restaurant and Bar. 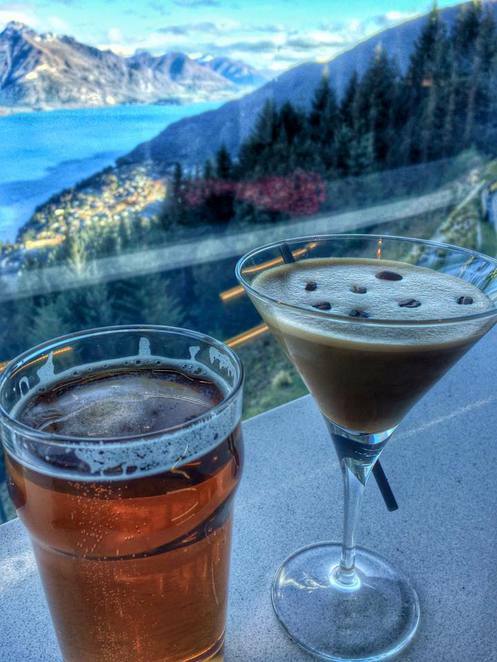 My partner and I, who were on holidays with his family, decided to enjoy a midday beverage in the bar area, which provided a fantastic backdrop for my Espresso Martini and his NZ Ale. The atmosphere is quite relaxed once you are up the top. 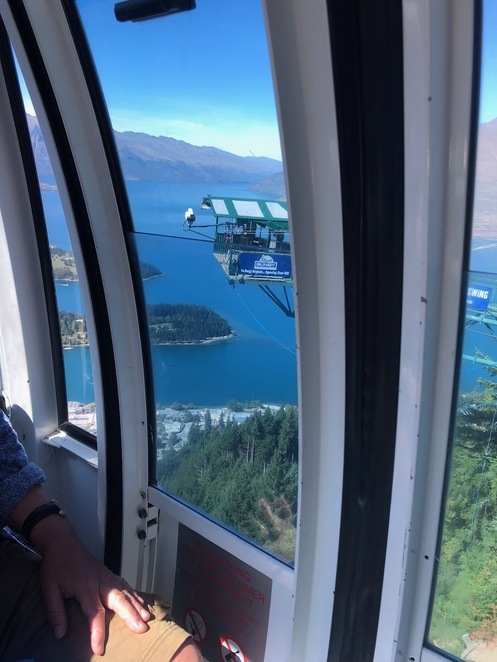 We did notice that the Skyline also offers packages which allow guests to ride the gondola and enjoy a lunch or dinner in the restaurant. Definitely an option for next time. 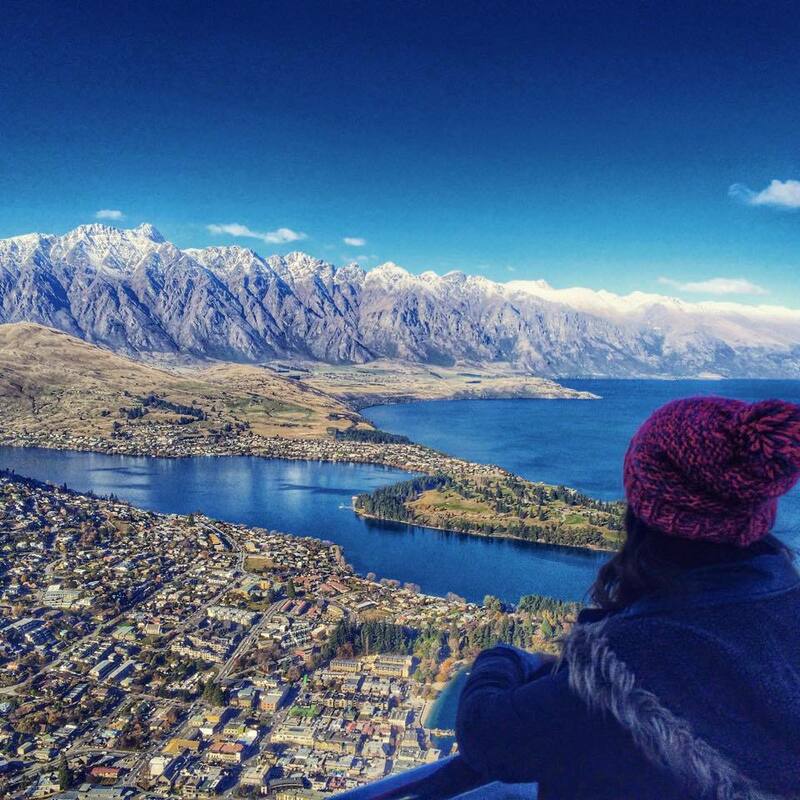 Another option for thrill seekers is the Skyline Queenstown Luge. This is basically where visitors get to jump into a custom Luge cart and zoom down the fitted-out course that has been cut into the mountain. If you are a bit of a thrill-seeker who has a fascination with speed, then this is the activity for you. Never fear though, once you reach the bottom with your cart there is a chairlift that can take you back to the top to do it all over again. To keep things safe too, the Luge track splits into a Red Track - for those who are after a steeper gradient with tunnels and corners and a Blue Track - for those out for a leisurely ride. Something for all, Skyline offers a unique experience for tourists and locals alike. 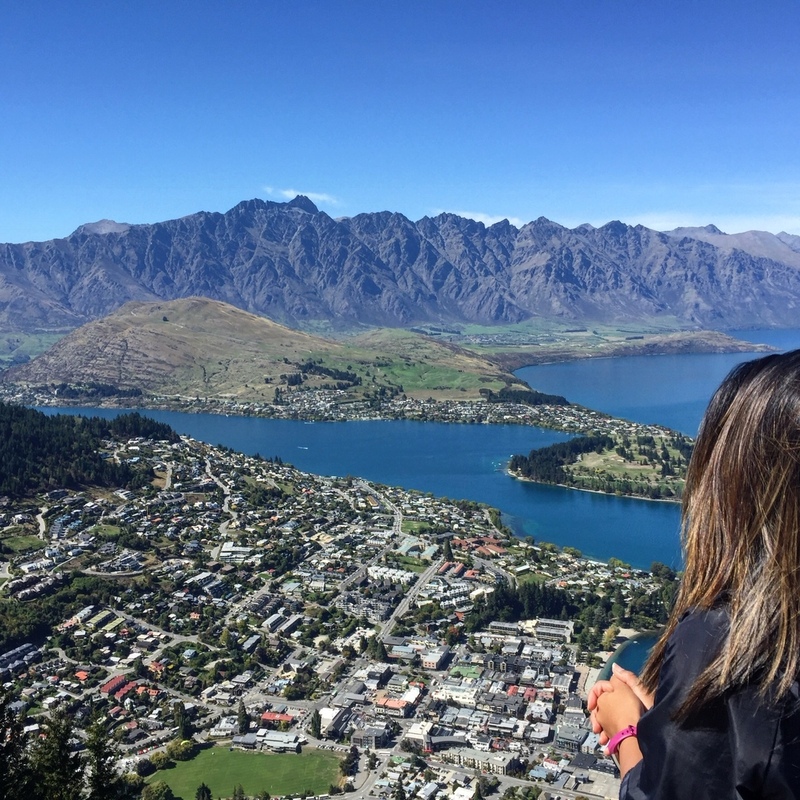 If you are visiting Queenstown then make sure you cross this off your list.